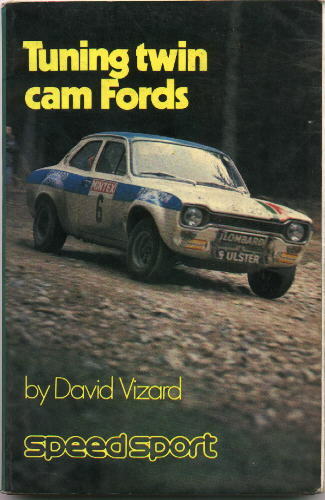 David Vizard wrote this small 74 page volume of tuning information, which details cylinder head and bottom end preparation of twin cam engines, as well as suggesting induction, exhaust and ignition system modifications. First published in 1969 by Speedsport Motorbooks of Middlesex, England, it is ISBN # 0-85113-007-0. The black and white line drawings are first-rate, and the photographs of twin cam installations are pretty cool.